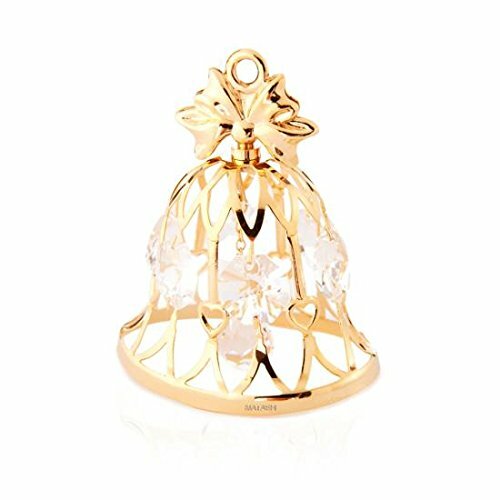 EYE-CATCHING DESIGN: A wedding bell rings happily announcing to all the newfound happiness of two people joined in marriage. 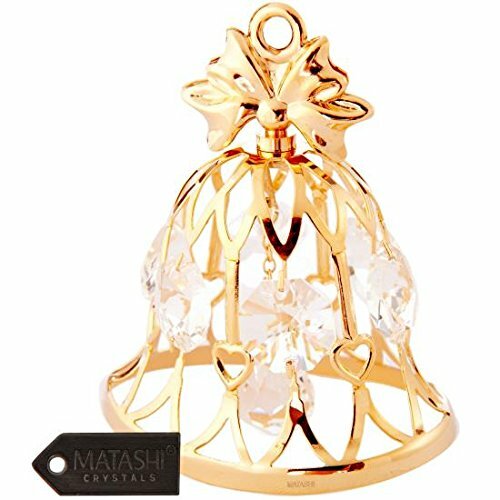 Crafted with quality materials like 24K Gold and studded with precision cut Matashi® crystals. DIMENSIONS: The size ensures it is the perfect size for any interior design motif, home decor or collection! Spruce up your desk or hang up this stunning piece by the window. ELEGANT PACKAGING: Comes secured in a velvet pouch within a luxury gift ready box. 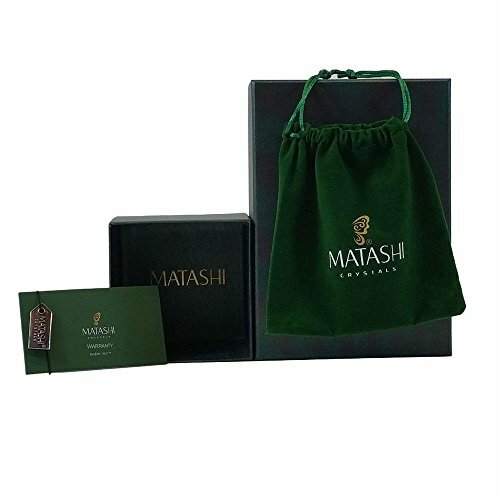 Write a personal message on the provided gift card and be assured of your product authenticity with the included official Matashi® individually serialized warranty card. GIFT READY: The perfect gift for any occasion. 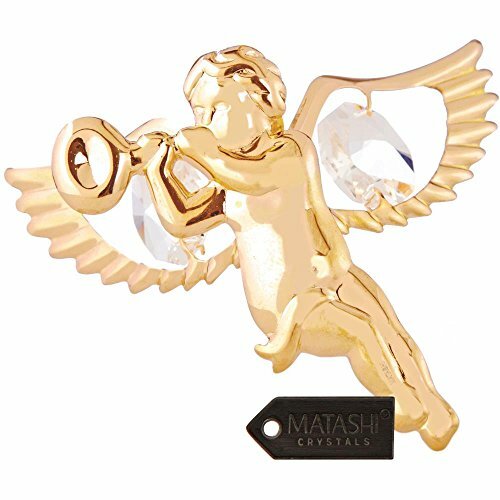 Give as a gift on Mother's day, Christmas, Valentine's day, as a Housewarming present or in any other situation you wish to show someone you love how much he or she means to you. SATISFACTION GUARANTEED: All Matashi® products are covered by a 100% Money-Back satisfaction guarantee and craftsmanship is guaranteed under a 2 year limited warranty.